Any history textbook will tell you that in 1492 Columbus sailed the ocean blue, then Magellan made it all the way around, proving the world not flat, as was once believed, but round. This was a shocking discovery in 16th century Europe, but today, with satellite technology and intense physics, we can prove the world round in any number of ways. 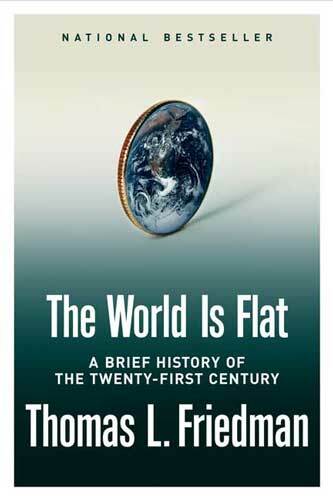 So why would a book, written in the twenty-first century, when the roundness of the earth has been proven beyond doubt, be titled: “The World is Flat”? And why, on earth, would it become a New York Times best-seller? Has the whole world gone mad? The title is merely the beginning of a very compelling argument about what kind of a world we live in and how that world operates. Thomas L. Friedman, a Pulitzer Prize winning author and syndicated New York Times columnist, shows us through examples and reason how our world has been fundamentally changed. His basic argument is that we no longer live in a world where interaction is limited to those in your immediate vicinity. With the advent of the internet, cell phones, 3G, 4G, and cable television, our interactions are now unlimited and our business and personal relationships are long-distance by nature. Our world, he argues, is fundamentally different from any other time in human history. We have changed the we do business, make friends, interact socially and so much more, using technology as our basis. Friedman refers to this as a leveling (or flattening) of the playing field known as geopolitics. While the facts, reason, and examples are all interesting and convincing, this book may not appeal to the casual reader. It is not light-reading, but rather and in-depth and comprehensive piece of professional literature. It is not an everyday novel, but a case study of how the world around us is shaped. This book has story-lines, plot and characters, but most only appear for a page or two and don’t compel the reader to read much further. If you are the type of reader, however, who enjoys learning as you read, or enjoys a fact-based and systematic approach to society, this book is one you should look more closely at. I immensely enjoyed it and hope others will too. Missy and Claire are cousins who are extremely close. They have sleepovers every weekend and talk to each other constantly. They also have a strong “family resemblance” that their parents are always trying to explain away. Missy is two months younger and until recently was always smaller than Claire so she never let herself believe they might be more than cousins, but one day she realizes that the resemblance is too much to be ignored. She convinces Claire to come on the morning announcements show at Missy’s school to pretend to be long lost identical twins. She tells Claire it will be an elaborate hoax, but she really believes it will force everyone to face the situation. The problem is that when the video goes viral on the Internet another girl comes forward who looks just like them too. Who is she and how did they get separated? 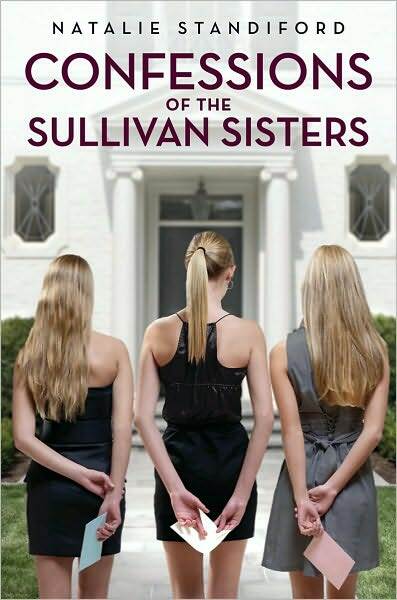 Fans of Caroline B. Cooney will enjoy this story as the lives of three young girls find themselves intertwined. Many questions arise such as who are their real parents? Why have they been lied to this whole time? Are they really sisters? The three girls are entertaining and easy to identify with, but the three sets of parents are characterized well too and their motivations for questionable actions ring true. 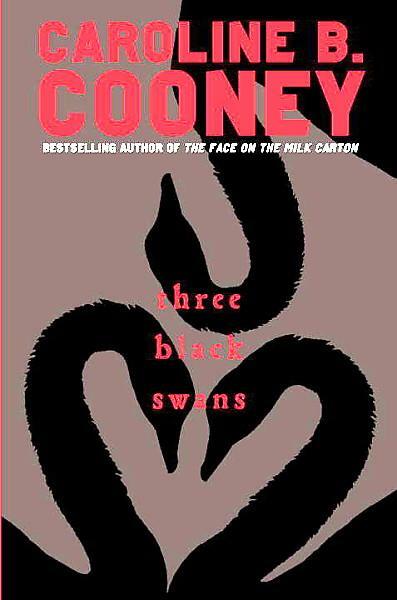 The ending was satisfying and will leave readers wanting to read more titles by Cooney. Katla is having a difficult time adjusting to Minnesota after living in California her entire life. Her parents’ recent divorce is difficult to adjust to as well. When she learns that she is a member of a secret stork society she realizes her return to her mother’s home town may not be accidental after all. Kat is supposed to help babies find their destined mothers through the help of the stork society and her own visions. Meanwhile, she learns she had a traumatic episode involving a local boy, Jack, when she was younger that she blocked out. 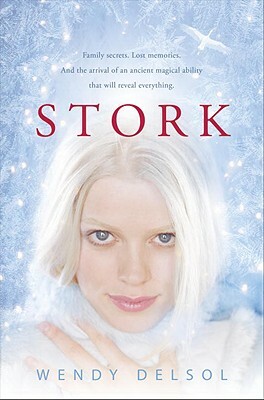 She feels a strong connection to Jack and does not know if it is because of their near death experience as children or because of her affiliation with the storks. Can she find her place in this new and mysterious town in Minnesota? The premise behind this story is very intriguing as Katla navigates her skills as a stork, but this aspect of the book is not explored as much as it could and should have been. The majority of the plot focuses on Jack and Kat’s relationship, which has some mystery and intrigue. Readers who enjoy folklore will find their romance interesting, but there are many predictable aspects due to the overwhelming foreshadowing. The ending is exciting, but everything is wrapped up too quickly and some readers might get confused about the plethora of information revealed in the last 20 pages. Fans of the Twilight series would be the target audience for this title. 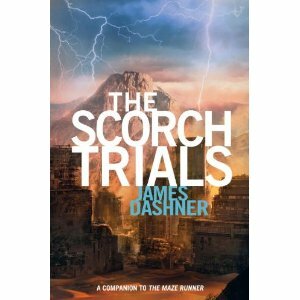 In this sequel to The Maze Runner, Thomas and his friends are hoping their trials are over. Unfortunately, this is just the beginning of another round of trials. They must face scorching heat, disease, and even opponents with weapons. Plus, a lot of their actions seem to be predetermined somehow. A lot is revealed about Thomas’s past and the reasons behind the trials, but these answers simply bring up more questions. Will Thomas and his friends survive to find out why they are being forced into such terrible tests? Will they ever know whom they can truly trust in this crazy experiment? The sequel does not provide as interesting of a backdrop as the maze did, but the twists and turns of the plot will keep fans interested. The characters become more endearing throughout this story also because we know how far they have come and realize they still have a long ways to go to enjoy freedom. Many new characters are introduced and their motives are murky at best, which keeps the characters and the reader guessing. All in all, it is not as enticing as the first one, but will definitely keep young readers interested. Cally is horrified when she finds her best friend’s body bloody and unresponsive at a party. She tries to find signs of life, but only comes to the shocking realization that she has been stabbed to death. To make matters worse, some other students see her with the body and take her picture holding the murder weapon. Feeling like she has no other choice, Cally runs for her life and hopes she can find some evidence that can prove her innocence. 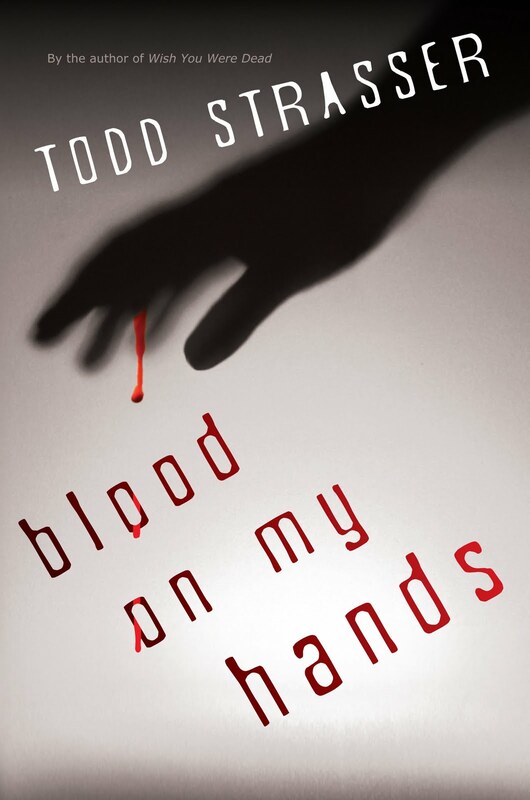 Todd Strasser has written many books that students can identify with and this one is no exception. Touching on themes such as bullying, dating, domestic violence, and deployment this book faces several tough issues head on. At the same time, Cally is trying to piece together what actually happened that fateful night and wonders how she can escape the same terrible fate that befell her brother. A very exciting read. 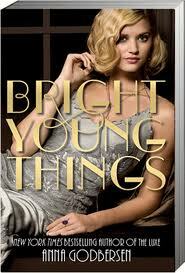 Anna Godbersen, the author of the Luxe series, has created a new and interesting series with Bright Young Things. The story follows three young girls trying to make a life for themselves in New York City in the summer of 1929. Letty and Cordelia run away from Ohio after Cordelia is forced into a marriage she does not believe in. Letty’s goal is to sing for adoring fans, while Cordelia wants to find her long, lost father. Meanwhile, Astrid is already rich and fashionable in New York, but desperately wants her boyfriend, Charlie, to show her the commitment she feels she deserves. As the three girls’ lives intertwine the spirit and innocence of this time comes through in a way that will keep readers eager for more. Godbersen once again created characters that readers will care about with a backdrop of the Roaring 20s at its best. Many interesting characters are introduced, some a bit on the unsavory side, which keeps the reader guessing as to the true motives of everyone. There are some remarkable coincidences in this story, which tends to happen in Godbersen’s stories, but most readers will be so caught up in the story they will be easily overlooked. This is a fun, fresh, and exciting historical fiction novel for teens.